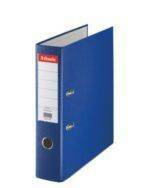 Esselte Economy A5 Pockets are ideal for storing and referencing smaller documents. 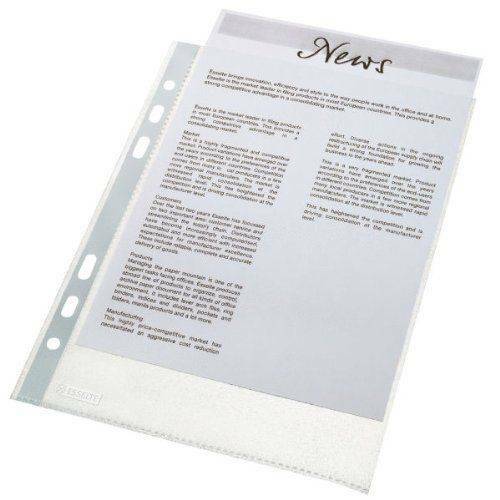 These A5 pockets have a universal hole filing strip which ideal for use in ringbinders and lever arch files and many more. 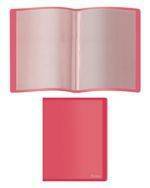 For ease of use and to keep contents secure they are top opening and made from copy safe 48 micron material. This pack contains 100 clear pockets. Esselte provides products and organisational solutions within the modern workspace to simplify your working day. Including lever arch files, ring binders, punched pockets and folders, Orgarex and Pendaflex suspension files, Esselte products will help you get the job done! Stylish and modern, practical and of good quality, Esselte will have the solution you need. 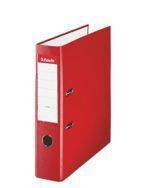 Popular in offices, Esselte lever arch files and ring binders are a great way to colour code your paper filing. Use Esselte indexing products and punched pockets to sub divide the contents. The Orgarex and Pendaflex ranges of suspension files help you organise the documents of your filing cabinets and desk drawers so you will easily find the papers you need.